Poorer sleep quality is associated with greater withdrawal symptoms and cravings in cigarette smokers, according to research published in the journal Addictive Behaviors. But the study also found that an increase in physical activity was associated with improved sleep quality. “Surprisingly little is known about how sleep is associated with cigarette smoking. So, we wanted to explore this relationship to see if it warrants more investigation,” said study author Alicia M. Allen of the University of Arizona. 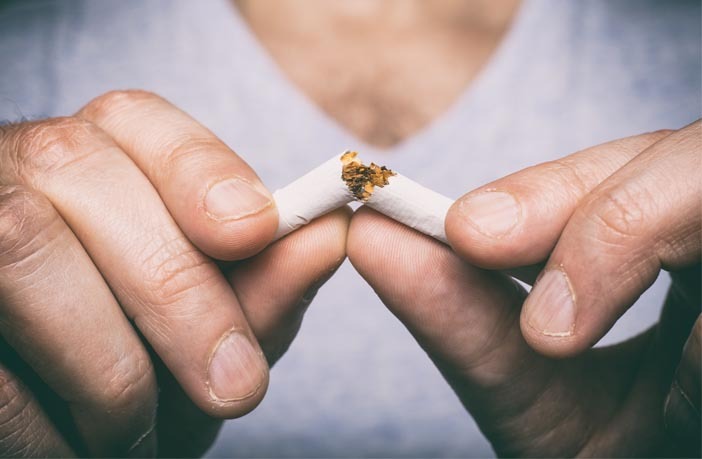 The 12-week study examined the relationship between physical activity, sleep quality, and smoking behavior in 32 smokers who intended to quit. Some of the participants completed three 30-minute exercise sessions per week, while others (the control group) were asked not to change their physical activity levels. The participants wore a Fitbit Flex throughout the study to track their physical activity. The researchers found that participants who reported poorer sleep quality also tended to report more adverse levels of smoking-related symptoms. In addition, participants who increased their level of physical activity tended to see improvements in their sleep quality. “We saw two interesting relationships. First, poorer sleep quality was associated with more craving and smoking urges. Second, increases in physical activity led to an improvement in sleep quality,” Allen told PsyPost. The study — like all research — includes some limitations. Future research could benefit from larger and more diverse samples of participants. The study, “Sleep quality in cigarette smokers: Associations with smoking-related outcomes and exercise“, was authored by Himal Purani, Samantha Friedrichsen, and Alicia Allen.